When you have a home for sale in Southeast Michigan or elsewhere in the nation, you have to know the competition is fierce. Many home sellers think they have all their ducks in a row when a potential buyer comes to view the house, only to have a minor, forgotten issue blow the deal. Your home’s exterior is the first thing potential buyers see up close. Online, you may have images of the front yard, back yard, kitchen and other rooms, but pictures can’t do justice to your home for sale in Southeast Michigan. Of course, not knowing what your specific home looks like, I can’t give a complete list, but these 17 items should get you off to a good start. Don’t forget that a few fall decorations can be the added touch that gets your home for sale in Southeast Michigan sold to a new owner! If you’re trying to sell your home and need more pointers, I can help. Call me at 248-514-2640 or email me at info@NorthWoodwardHomes.com for more information. Thanksgiving and Bloomfield Hills Homes – What Are YOU Thankful For? Thanksgiving is coming soon to Bloomfield Hills homes near you. It may even be coming to your home, bringing friends, family, good food and happy memories. In the midst of all the activity, take time to think about what you’re thankful for this year. Many homeowners – those with Bloomfield Hills homes and homes elsewhere across the nation – seem to think these people must have “done something” to be in their current situation. They believe that as long as they don’t “do something,” they won’t experience similar problems. Be thankful for your Bloomfield Hills homes, your jobs, your families and your good, full life. I know I am. This Thanksgiving, take time to let go of the cares of the world; just enjoy what you have and with whom you have to share it. 1. Bring in the outside: A lot of people in your Bloomfield Hills home, plus the heat from the oven, can make even a November day uncomfortably hot. Instead of turning on the A/C, open some windows to cool your home down. 2. Buy only a few organic foods: Organic food is usually more expensive than conventionally grown food. Instead of buying a lot of organic groceries, purchase only key organic items that are most likely to transmit pesticides to you. Check out the Dirty Dozen list to discover the produce you should consider purchasing from the organic section for your holiday meal. 3. Compost: Add your Thanksgiving fruit and vegetable trimmings to your Bloomfield Hills home’s compost bin, or start one if you don’t already have one. Next year’s garden will thank you. 4. Eat locally grown food: Depending on where you live, there may not be much locally grown produce available in November, but there are other foods you can purchase locally. Apples and apple butter top my list of things to buy locally this fall. Purchase turkeys and chickens grown by local farmers. Buy delicious homemade pies and bread at your local farmer’s market. 5. Plan a potluck: Instead of doing all the work yourself, make this turkey day a potluck. It’s easier and cheaper for you, and allows family and friends to feel more a part of the event. This is a wonderful new tradition you can start, which others may well continue for years (and generations) to come. 6. Save leftovers in glass jars: Instead of putting leftovers in plastic bags or Styrofoam containers, use glass jars. Save glass jam jars or spaghetti sauce jars and reuse them to package leftovers. 7. Wash and reuse: Use cloth napkins and tablecloths that can be washed and used again. If you don’t already have some, consider making your own cloth napkins out of material you already have in your Bloomfield Hills home. Not only are they eco-friendly and inexpensive, they’re also elegant and attractive. Don’t stress about doing everything perfectly. Putting just a few of these ideas into practice saves money and the environment. I wish you and your loved ones a very warm and happy Thanksgiving! When dealing with a purchase contract for your Royal Oak Michigan home for sale, you need to look in the actual print for a few things before you sign on the dotted line. Your real estate agent and/or lawyer will be able to point out glaring deficiencies, inconsistencies or other things not in your best interest. However, the more you know about the purchase contract yourself, the better chances you have of getting a good deal on your Royal Oak Michigan home for sale. Finally, pay attention to the expiration date of the contract. You may have eight hours or eight days to accept, reject or counter the contract. Pay attention to how long you have to consider the offer for your Royal Oak Michigan home for sale. If you’re trying to sell your home and need a knowledge agent on your side, I can help. Call me at 248-514-2640 or email me at info@NorthWoodwardHomes.com for more information. Don’t you just love it when the evening news finally shares some good news? I do too! So, I want to do my part and share some good news with you today: Bloomfield Hills homes and homes nationwide are becoming more affordable. In fact, according to the National Association of REALTORS®, housing affordability is close to reaching an all-time high. Exactly how does this benefit the buyers of Bloomfield Hills homes? A typical buyer can pay much less in mortgage costs for the same home, or buy a better home without increasing their monthly payment. 1. Lower mortgage rates. The primary reason Bloomfield Hills homes are now more affordable is that we have the lowest mortgage rates in history. Ready to buy a home? Let me help you find the home of your dreams and get it at a great price. Call me today at 248-514-2640 or email me at info@NorthWoodwardHomes.com. I’ve said before and I’ll say it again, the fall is a great time to sell Royal Oak Michigan homes for sale. Nostalgia runs rampant in potential buyers. That “nesting” feeling pushes them to look harder for the perfect home. After all, who wouldn’t want Thanksgiving or Christmas to be the day their friends and family see the gorgeous new home? With this in mind, many sellers hold open houses in the fall. It gives potential buyers the opportunity to walk through Royal Oak Michigan homes for sale looking for that dream home they can call their own. Agents, homeowners or both smile, nod, and graciously offer drinks and snacks. It’s a beautiful thing. It’s amazing what a little extra touch can do to spice up an open house. A cider wassail bowl may be just the extra touch that could help sell your home this fall. This wassail bowl is a hot and spicy cider punch. Traditionally, it’s made with ale or wine, but you never want to overdo it with the alcohol at an open house. You can make it hours before, and put it in a slow cooker on very low to keep it warm. This recipe makes 12 servings. Heat corn syrup in a small pan; combine sugar and ¼ tsp. cinnamon in a shallow dish. Roll each apple in hot syrup, then in the sugar. Arrange on a baking pan and bake at 400 degrees for about 15 minutes (apples shouldn’t lose their shape). In a large pan, slowly heat the apple cider, lemon, stick of cinnamon and cloves over a very low heat. Don’t let it boil; boiled apple cider gets a bitter taste. Before serving, strain out the spices and add the roasted apples. Serve piping hot. This is my favorite cider recipe to use, but this wassail bowl recipe is equally tasty. When you have multiple Royal Oak Michigan homes for sale, like I do, you quickly learn the things that work and the things that don’t. Whether you serve apple cider, cider wassail or just a plain fruit punch, the little things can make all the difference. If you’d like to get your home sold over the holiday season, I can help. Call me at 248-514-2640 or email me at info@NorthWoodwardHomes.com for more information. Ask anyone about their experiences with Troy Michigan real estate agents, and you will no doubt hear a variety of responses. This is why there are so many myths about agents circulating. A good real estate agent is worth every penny you spend for their expertise. 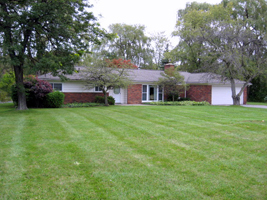 Let’s examine some popular myths about Troy Michigan real estate agents. 2. They won’t get you a good deal because they make a commission on the sale price. Yes, real estate commissions are based on a percentage of the sale price. However, the commission on a $185,000 home is $5,550, while the commission on a $200,000 home is $6,000. That’s a difference of $450, which is hardly worth creating a negative impression by getting you a bad deal. 3. They say anything to make a sale. Professional Troy Michigan real estate agents work for you, and they want you to have a positive experience with them. After all, most of their business comes from referrals. They want you to be happy so you will tell your friends and family about their excellent service. 4. They don’t do anything you can’t do on your own. The truth is that buying and selling real estate can be a complicated and time consuming process. Sure, you can order home inspections and surveys on your own. You can even negotiate for your terms. However, professional Troy Michigan real estate agents are trained to do this and have experience at it. As a result, they’ll save you money, time and make your life less complicated throughout process. Don’t underestimate the value of a professional real estate agent. Let me help you save time and money when buying or selling your home. Call me today at 248-514-2640 or email me at info@NorthWoodwardHomes.com. Bloomfield Hills Home Buyer News – Foreclosures Halted Nationwide? As a potential buyer of a Bloomfield Hills home, you may be looking at foreclosures as a way to get a good home at a great price. The Saga of the Housing Bubble continues, however, and it might just have you, the homebuyer, looking at regular housing with a more favorable eye. In October, numerous mortgage services voluntarily suspended foreclosures nationwide, including Bank of America, J.P. Morgan Chase, Litton Loan Servicing and GMAC Mortgage/Ally Financial. The suspensions include pending foreclosures as well as foreclosure sales, as the mortgage services investigate flaws in their foreclosure processes. For those of you looking at a foreclosed Bloomfield Hills home through one of these companies, it may be a long wait. Twenty-three states initiated a foreclosure moratorium. In addition, they have begun probing all lenders’ foreclosure processes in those states. Thanks to nationwide, coordinated efforts of State Attorneys General, 17 more states as well as 17 non-judicial foreclosure states have expressed interest in joining the probes. In short, a foreclosure freeze “craze” has begun, upsetting real estate investors and homebuyers alike. In general, this craze isn’t expected to last long. As well, the lenders don’t expect to find many problems because most foreclosures are believed legitimate. In short, it seems to be simply a matter of improperly reviewed and improperly handled foreclosure documents. Although it’s only expected to last a few weeks, some buyers are left sitting with an offer on the table and no closing. With the foreclosure processes in question and sales halted, buying a foreclosed Bloomfield Hills home may not be as ideal as you think – at least for a little while. Don’t give up hope on owning your own home, however. Instead, take a few minutes to look over the other homes for sale. Your dream home and great deal may not be a foreclosure after all! If you’re looking for a beautiful home of your own, I can help. Call me at 248-514-2640 or email me at info@NorthWoodwardHomes.com for more information. Seller’s Disclosures: What Do You Have to Tell about Your Bloomfield Hills Real Estate? There was a time when Bloomfield Hills real estate was ruled by the phrase “buyer beware.” This meant the seller did not have to share any information about defects in the home. Today, however, more than two-thirds of all states in the U.S. require some form of seller disclosure. This means that sellers are required to share certain information with potential buyers. What do you have to share when selling your Bloomfield Hills real estate? 1) Lead-based paint. For all homes built before 1978, a disclosure is required. This gives the buyer 10 days to have the home inspected for lead-based paint. Some real estate brokers require this disclosure for all homes because lead-based paint is still sold in some places. Death in the home. Some states require sellers to disclose if anyone died in the home. Buyers may be uncomfortable buying a home in which someone has died. External issues. You may need to disclose issues that could affect the property, like earthquakes, zoning changes, flood zones and pollution. Foundation problems. Damaged slabs and accompanying moisture problems may need to be shared with the buyers. Repairs. You don’t have to disclose every repair you’ve made to your home, especially since a repair means the problem has been taken care of. However, you can let buyers know when you had a new roof put on or the air conditioner replaced. Don’t go through the process of selling your home on your own. Call me today at 248-514-2640 or email me at info@NorthWoodwardHomes.com for more information about what you have to disclose when selling your home.